The new wave of wines from Cinsaut and Grenache present some interesting dichotomies – lightness vs heaviness, authenticity vs contrivance and precision vs (wilful) neglect but three. 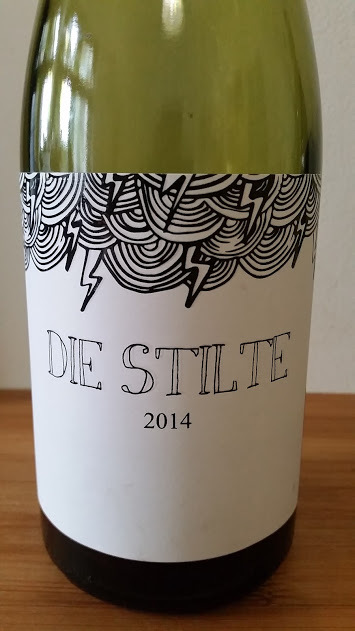 Die Stilte 2014 is a Swartland Grenache made by Konrad Raubenheimer, 11 months in oak none new. Wine Cellar price: R140 a bottle. Interesting low (ish) score. We had it in a big line up of South African, French and Spanish Grenaches a few weeks ago and it ended in the top 5 (out of 30 wines tasted blind). I agree it isn’t a super complex Grenache – especially compared to the David (which I also don’t think is a fair comparison – big difference in resources cellarwise), but for me this ticks all the right boxes for Grenache and is certainly not an eighty seven pointer. Hi Hennie, It’s a wine that’s very much to my taste being light(ish) and lacking in pretence but ultimately not precise enough to warrant a higher score. In fairness, I think these new wave wines are forcing us to reconsider our collective aesthetic. Good on you for coming to its defense. So glad you managed to get your hands on this wine! Scores aside, I think this is the future of SA grenache. People call cinsault the swartland pinot noir, but grenache from younger vines is delicious. I have often told Konrad that I think his thinking with regards to the execution of this wine was at least spot on. What amazed me about it is that it is in no way straightforward. And all the other wines thus far from this vineyard (Franki’s, some Winery of good hope blending stuff) have been rubbish, but shown a very typical profile, which he gets, but solidly improves upon. I think this is a wine everyone should try. It expresses more than anything else the vineyard. Not a manipulation/blending/making to express a particular profie. And that to me has a profundity to it.